I just love when I get to review an item an that has been invented by a mom! Who knows better about what parents need than moms themselves? And I have to say that Megan Wilson hit the nail on the head with this very cool invention! When I was asked by Megan to do a review on the Bambinos Tidy Table Tray, I was very interested because I have a granddaughter that is 10 months old. My daughter and her husband have a high top table and my little granddaughter’s highchair would not reach the height that they were sitting at while eating. Therefore, they had started putting her in a booster seat. This works great, but they did not just want to put her food on the table and she would pick up a placemat and start waving it around when they tried to put her food on that. Their table is a nice wooden table and is fairly new, so they don’t want it scratched up or ruined in any way. Well, the problem has now been solved! We just love the Bambinos Tidy Table Tray + Flexi-Diner! This nifty little tray clips securely right onto the table! The clip has a soft rubber coating so that it will not nick or scratch the table. I love that it is portable so it can easily be taken anywhere – a restaurant, grandma’s house, etc! The top green tray, which is called the Flexi-Diner snaps in and out for easy meal set up and clean up. Simply get the tray entirely set up and then bring it to the table. When baby or toddler is done, lift the flexi-diner out and take it to the sink for easy cleanup. It is also dishwasher safe. The picture below shows Ally eating without the green tray snapped in so that you can see what it looks like. The Tidy Table Tray + Flexi-Diner is BPA free and has a spill catch lip which ergonomically molds to a babies body, while catching spills that fall between the child and the table. I just love that feature!! Table surfaces, rims and legs stay clean and dry, while the tray offers a large eating space and rounded rims to keep spills off the table. It protects tables, floors, clothes, and reduces laundry loads (and the need for bibs) too! The Bambinos Table Tray has a second insert that can be purchased separately. It is an arts and crafts center that will maintain and contain all your little artist’s tools in one safe area. Ally isn’t quite ready for that yet, but when she is, you can be sure that we will be adding it! If you are looking for a great way to bring your baby into your family mealtimes, then this is it! As you can see, Ally loves being part of the family conversation and my daughter loves the fact that her table is protected, clean up is easy peasy and that Ally is a happy baby! For more information and to purchase The Bambinos Tidy Table Tray + Flexi-Diner for $29 (which includes the shipping!! ), visit the Bambinos website HERE. You can also follow them on Facebook and stay posted on some other up and coming products! Bambinos has offered to let one lucky toddler and their Steals and Deals for Kids following parent win the Bambinos Tidy Table Tray + Flexi-Diner! You must be 18 years of age and live in the U.S. to win! 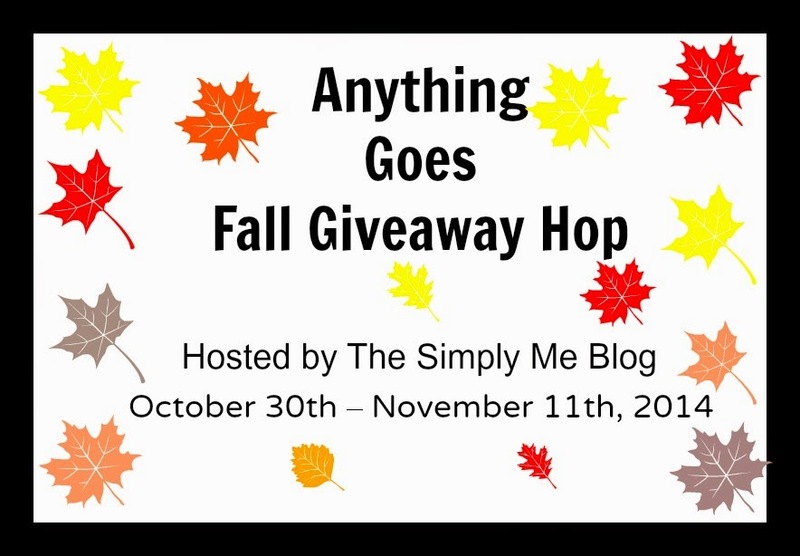 BE SURE TO ENTER GIVEAWAYS ON THESE OTHER GREAT SITES TOO! That tray is a BRILLIANT idea. Why didn’t I think of that lol? That looks so handy. Something for me to keep in mind for the new grandbaby we are getting soon. Great concept for a product. With my son we always had such a dirty spot on our table where he ate! It fits on so securely and is a nice roomy space for large messes. Great idea! This looks awesome! I love that it would keep the mess contained and won’t easily fall onto their laps. I love the idea of not having a highchair and that it’s portable! This is great. I love that the child can sit with everyone else. Many times with traditional highchairs they are isolated from the rest of the family. I love how easy to clean it is! So smart!!! I like that you can take it to the sink for easy cleanup. Brilliant! I love how the silicone tray helps keep food off your child. my daughter is always covered in food. This would be amazing for my 18 month old who loves to dump his plate on the floor! I love that it has a catch lid! That makes it so much easier to clean and to not make a mess. I love that it snaps on. It’s a brilliant idea and wished I had one when my kids were small! Oh my gosh all I can say is where was this fabulous invention about 15 years ago when my sons were little?!?! What an awesome idea! Wish I had known about thus tray before. It would have been really useful when my daughter was using the highchair. The extra artist tray sounds like a great tool too. I love that it has such a large eating space!! Oh my gosh, I have been wanting something just like this! I love how it attaches and will stay put, we’ve been wanting something like this for when we go out as well as for home use. I LOVE that my little girl won’t be able to “accidentally” drop her plates on the floor anymore. Love the cup holder and how easy it is to use and clean. Awesome product. I love how convenient it is and how easy to use. This would be perfect for my granddaughter. I love this little tray! It would be perfect for eating out at restaurants! This would have been so helpful when I was transitioning the kids from high chairs to booster seats. It’s so convenient and keeps them from smearing their food all over your good table! I love that it covers the rim of the table and curves around baby a bit. I like that this has a lip that will catch spills, that’s a common issue here! BPA free and easy clean up have me sold! My favorite feature is the erogonamic design. Much less mess. Great idea. I like that it’s portable — would be great being able to take it with you to use anywhere. Man I wish they would have had this when my boys were little. Genius idea! I like that it’s two pieces so easy to clean. When my kids were small, I freaked out when their food touched the restaurant table. Who knows what cleaners were used (if any). This would have really saved my sanity! Is it sad that I would totally use this for my 3-year-old? LOL! She is such a messy eater and I and I think this would be great at minimizing the mess! The way my two year old makes a mess, this is just what we need! I like it’s portability and ease of cleaning! Oh, I gotta have that Bambino table for my niece. It’s portability is appealing to me, as it will come in handy for upcoming family gatherings. Thanksgiving is right around the corner! Why didn’t they think of this before? This saves so much space at the dining table. I love it! I like that it has a catch lip. Awesome! I love giveaways, especially this time of year. Will be entering on all the other sites too! This table/tray is such a great idea for young children. I would have liked it for my children. I love that it clamps to the table, too many times I’ve had my children throw their plates on the ground. It would be so nice to take that gravity experiment option away. I like how it molds to a babies body. What a cool attachment that lets kids enjoy meals with the family. It has lots of nice room for all the child’s meal utensils. I would love to have this.for my 3 granddaughters. It would make life so much easier! I definitely love the easy cleanup feature! I love that you can get the optional arts and craft attachment…very nice to keep things clean. My favorite part is that the green part pops off to clean. I love the spill catcher to help with spills. This would come in so handy for my two year old! I love the flexible top. I’m seeing it for my mother in law who is 89 with dementia. It’s hard for her to eat now. We have to use special plates and silverware for her. This would help her have some more independence. What a great idea!! I’m glad you shared this with other readers! I like that you can purchase a separate insert tray. I love that it has an arts and crafts center. I love that the inserts are interchangeable! This would have been such a life saver when my kids were little. I hated the high chair. my favorite feature is the spill catch lip which ergonomically molds to babies body . I love that it makes the clean up easier and the mess in a control space. I love the clip on feature. It seems super easy to get on and off, which is just what a busy mom like me needs! I like it catches spills that fall between the child and the table. The clip on will definitely come in handy – a real convenience! I love that it has a spill catch lip! I like that it is easy to clean! I like the spill catch lip – catch the messes before they become messes. I love how simple it looks to use and how my niece would be able to sit at the table and not far away in her highchair. I love that the tray has clips that will not scratch the table. I really like that it’s removable for easy clean-up. So much easier than using a standard place mat. I like that it is portable and we also have the high tables so this would work for us as well. I like that it is portable. You can take it wherever you go with your child and eat!!! I like that it snaps on. It looks very easy to clean. I like that it attaches so easily to the table. I love that it would work with any table. I love how it is easy to wash! I have one for my oldest who has had strokes, would love another for my youngest! I really like that it is portable and contains the messes. What a great idea! I wish I had one when all of my kids were young. I LOVE that it would take the place of the high chair! I like that the green tray snaps off. Makes it easier to clean. I like that it attaches to the table and the child can sit with everyone else. I like the fact that you can clean the green tray easily.